The Spiders put an emphasis on process over results. If you consistently repeat the proper process, the results will also come more consistently. It doesn’t mean that you will always get good results, but that those good results are more likely to come. Unfortunately, most players are conditioned to care only about results. This can create an environment that is difficult for growth as players may try to fix something that doesn’t need fixing — or players may not see a problem because the results were good. 1. Preparation means that you have prepared yourself, mentally and physically, for this situation. You know what you are supposed to do. You’ve taken the reps and trained your body to execute in this situation. 2. Approach is understanding how to attack the current situation. At the plate, it could be executing the proper aggressiveness or selectivity given the situation. It’s relaxing the body and mind. It’s focus. Getting into an athletic position. Having an effective stance in the box. 3. Mechanics covers all of the mechanical details of a throw, swing, or fielding of the ball, for example. You can have the proper preparation and approach, but bad mechanics can lead to poor results. Mechanics focuses on how you move your body to execute a baseball action. 4. Execution covers doing 1 through 3 properly. You were properly prepared, took the right approach, and used the necessary mechanics to lead to good results. This led to the execution of a line drive up the middle, fielding of a ball with good footwork, pitch of a ball to the right location, and throw of a ball to a teammate. 5. Intent covers the things that you intend to do. You may have done 1 through 4 correctly, but were you trying to do the right thing in the first place? You meant to swing at that ball on a 3-0 pitch, but should you have taken it instead? Results can be separated into two buckets, physical and statistical. 1. Physical Results are those that you see. You can see a line drive hit to right or a pitch on the outside corner. You can see a cleanly fielded ball at shortstop and a strong throw made to first. These results don’t always appear positively in the box score. 2. Statistical Results are how observers ultimately judge you. A batter had three at bats and one hit. A pitcher threw two innings and allowed three runs. A fielder made one error. These statistical results are often misleading because they are not always in line with process and positive or negative physical results. A player who has bad process won’t always get bad statistical results. They won’t even necessarily get bad physical results. A batter swings at a bad pitch, but he hits a double to right. Another batter swings when he gets a take sign and hits a pop-up that falls in for a single. A third baseman uses bad mechanics to field a ball, but does so cleanly and throws out the runner. This happens often. The player — and often his parents and even coaches — see these good results and provide positive reinforcement. The player does everything right, all the way down to a good physical result. The batter uses good process to hit a line drive to center field. The defensive player makes a catch. In the box score, that batter failed. The instinct of the player is to be disappointed. The result is not what they wanted. This is the ideal situation. The player did everything they should have done, and they are rewarded for it in the box score. But the truth is that this is often not what happens. Baseball is a game of failure. On a play by play and pitch by pitch basis, good process won’t always yield positive results — particularly good statistical results. As coaches and parents, we need to recognize that and be able to separate them. Little Jimmy went 3-for-3 today. Great game, Jimmy! Jimmy is rewarded in the box score and the reactions of his coaches and parents will reinforce that he did the right thing. Little Teddy went 0-for-3 today. Tough game, Teddy. Teddy is conditioned to believe that he had a bad game. But did he? Maybe Jimmy had terrible process and ended up with three hits anyway. This will happen. Maybe Teddy had great process and didn’t manage a hit. He slugged line drives at fielders. The opposition also contributes to your results. Sample size is key. Over the course of a season, a player who consistently executes good process will yield positive results — both physical and in the box score. A player who consistently executes bad process will yield negative results. It will even out. And it’s possible that a player can get away with bad process at lower levels for multiple seasons. But, if not corrected, it will eventually catch up to him. I’m not suggesting that parents and coaches need to shout “Bad approach, you got lucky!” when bad approach yields good results. But at some point, it needs to be made clear to the player that repeating these bad habits will rarely lead to the good feeling he had this time. Pull him aside in between innings or after the game. Talk about what he did and what he should have done instead. Help him understand that, despite the positive results, a different process is beneficial for the long haul. Positive reinforcement when good process leads to bad statistical results is critical. Baseball is results oriented. Despite doing everything right, he thinks he made a mistake. He may be inclined to believe that he should do something different next time. This can especially be the case in small sample sizes where a player faces a string of bad luck. Recognize the good approach. Remind the player that if he continues executing the way he is, the results will come eventually. As a coach, it can be as simple as recognizing a player after the game who may not have ended up with three hits, but who hit the ball hard every time. Or a defensive player who made great stops, but didn’t get the runners or batters out. How do you recognize and reward process vs. results? It sounds easy. You know what a stolen base is. But the truth is that most fans, coaches, and scorekeepers don’t know how to score stolen bases when other factors are added to the mix. The result is that scorekeepers will often over or underreport stolen bases. I’m trying to do a public service here. Most scorekeepers do this incorrectly. I also realize that there is an awful lot of gray area in some of the scoring (particularly defensive indifference). But, I firmly believe that there is a simple way to score these things. We’re overcomplicating it. A pitcher is charged with a wild pitch when his pitch is so errant that the catcher is unable to control it and, as a result, baserunner(s) advance. Note that the pitch may be so wild that the catcher can’t control it, but a wild pitch won’t be scored if a runner fails to advance. Additionally, a “runner” could be either a player who moves from first, second, or third base OR a batter who advances to first on a strikeout (via wild pitch or passed ball). A catcher is given a passed ball if he cannot hold onto a pitch that — in the official scorer’s judgment — he should have, and as a result at least one runner moves up on the bases. The difference between a wild pitch and a passed ball is small. In both cases, the catcher is unable to control it and at least one runner advances. In the opinion of the scorekeeper, a passed ball is scored if the catcher SHOULD have controlled the ball. But how do we know whether a ball should have been controlled by the catcher? It’s subjective, but one general rule of thumb is that anything that hits the dirt before reaching a catcher (resulting in a runner advancing) is a wild pitch. Anything that the catcher misses entirely, too, would typically be a wild pitch. A called strike that gets by the catcher would be a passed ball. In between is open to interpretation. In the end, keep it simple. Yes, catchers should typically block pitches in the dirt. But these are above average plays. The best way to remain consistent is to score all pitches in the dirt that advance a runner as a wild pitch. The truth is that the best catchers will not only have very few passed balls, but they’ll prevent wild pitches. This is no different than the best first basemen who not only have few errors but save other infielders from throwing errors. We think we know what a stolen base is, but the truth is that there are cases that aren’t as obvious as the straight steal of second or third. A stolen base occurs when a baserunner advances by taking a base to which he isn’t entitled. This generally occurs when a pitcher is throwing a pitch, but it can also occur while the pitcher still has the ball or is attempting a pickoff, or as the catcher is throwing the ball back to the pitcher. Stolen Base or Wild Pitch/Passed Ball? You’ll often see scorekeepers give a baserunner credit for a stolen base on a passed ball or wild pitch, even though that runner wasn’t originally stealing a base. Additionally, you’ll often see a base stealer robbed of a stolen base simply because the ball gets by the catcher. Both, of course, are being scored incorrectly. If a baserunner is not attempting to steal a base as the ball reaches the plate and only advances after the catcher is unable to control the pitch, he should not be credited with a stolen base. It is a wild pitch or a passed ball. Similarly, a baserunner who runs with the pitch (or prior to reaching the plate) in an attempt to advance to the next base and does so successfully will be credited with a stolen base. It does not matter if the catcher is then unable to control the pitch. Technically, a stolen base and wild pitch or passed ball can occur on the same pitch. If a runner takes off for second or third, the catcher is unable to control the ball, and the runner then advances to yet another base, he will get one stolen base while a wild pitch or passed ball is also scored. Instead of a stolen base, wild pitch, or passed ball, you’ll often see a scoring where a runner advances via defensive indifference. Defensive Indifference is a play in the later stages of a game in which the defensive team, either ahead or behind by a large amount allows a player to advance a base without any attempt to put the runner out. I hate this definition. I also think that it’s easier to apply this definition to Major League Baseball than to youth baseball. The definition also alludes to time and score of the game, but those shouldn’t matter at all. And what exactly are the “latter stages” of a game? And what is a “large amount”? When defensive indifference is scored in youth baseball, I can tell you that it’s almost never due to it being late in the game of a blowout. It’s only interpreted that way because the catcher didn’t make a throw. Stolen Base or Defensive Indifference? The example above is often scored as defensive indifference. But was the defense indifferent? The first baseman was holding the runner on. The pitcher was throwing from the stretch, indicating he wanted to hold the runner on. A throw wasn’t made, but that’s only because the runner got a huge jump. Why would you rob a runner of a stolen base simply because he got a huge jump — doing exactly what he should do? In this case, I need to inject my own opinion into how I believe defensive indifference should be scored. So, you could have a situation where a first baseman plays behind a runner even though a pitcher is throwing from the stretch. I’d be fine ruling any advancement as defensive indifference in that case. Defensive indifference on an advance to third is more difficult to spot. A middle infielder isn’t necessarily holding a runner on at second on every pitch. The pitcher may ignore him. The key, in my opinion, is whether the pitcher was throwing from the stretch or the windup. Something you’ll see more at the youth level than at higher levels is a first and third situation where the runner at first runs to second, hoping to draw a throw. If a throw is made, the runner at third attempts to score. There are numerous ways to defend this, but many of these methods include not throwing to second — or at least having the pitcher or middle infielder cut off the throw. If a throw isn’t made to second and the runner is safe, is it still a stolen base? 1. Did the first baseman hold the runner on? 2. Did the pitcher throw from the stretch? If the answers to both of these questions is “yes,” I’d give the runner a stolen base. If either is “no,” I’d consider the defense to be “indifferent” to his stealing. You can certainly make the argument that there was never any intent to throw out the runner at second. And truthfully, there’s rarely a reason to throw it when the bases are 60 or 70 feet apart. But whenever you have to guage intent, I’d rather not be a mind reader. I’d instead focus on #1 and #2 above as a guide. 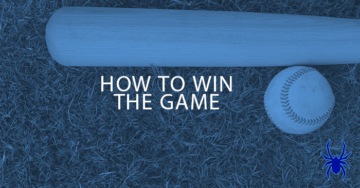 Especially when it comes to youth baseball — and especially for younger ages — keep it simple. If a runner attempts to advance with a pitch and does so successfully, that runner should almost always be credited with a stolen base. There may be a rare situation when it’s defensive indifference, but that should be just that — extremely rare. Don’t get cute. Don’t try to amaze us with your knowledge of this thing called “defensive indifference” when the reality is that it rarely actually happens at the youth level. Just give that kid a stolen base. He deserves it. How do you score stolen bases, wild pitches, passed balls, and defensive indifference? Something that separates the Spiders from most youth baseball teams is that we hold Chalk Talk classroom practices — particularly during the winter and early spring months. These classroom sessions make a big difference on the field during the season. You’ve seen the agony from coaches during games. “Why are you not where you’re supposed to be? !” Or “What are you thinking? !” Coaches may cover certain situations during an on-field practice, but they’re missing an important opportunity for understanding and reinforcement. The practice field is a good place for movements, reps, and drills. But it’s not always the best place for deep thought and conversation on strategy and responsibilities. That’s why the Spiders hold several one-hour classroom sessions for this purpose. The Spiders have a playbook that outlines every player’s responsibilities for cutoffs and backups based on the situation and type of hit. While the players should study and learn this guide, it’s also important to walk through the responsibilities and why. On the left-hand side, I’ve assigned nine players a position. Those who aren’t assigned will often be a batter or baserunner to allow them to think through the situation from that perspective. Some of this won’t apply to backup and cutoff responsibilities, but it will come in handy for other situations discussed below. Given the runners on base, I’ll say that, for example, there’s an extra base hit over the left fielder’s head. Grab the magnet for your position, and move it to where you need to be. After each player moves his magnet, we’ll talk about it. Did you get it right? If not, why should you be in a different place? Why are we moving where we are? Are there any gray areas and other considerations? The result is that we’re often very crisp on cutoffs and backup responsibilities, leading to executing more outs on the bases via relays and preventing runners from getting extra bases that they don’t earn. We use this same whiteboard as a jumping off point for discussion of hitting situations and approach. Once again, we provide a situation, but this time from an offensive perspective. We know which bases are occupied and by type of runner, the count, outs, score, and inning. With a runner on second, you’re looking to hit to the right side to move him over. With a runner on third, you’re looking to drive him in via fly ball or ground ball. With a 2-0 count, you’re looking for a fastball in your wheelhouse that you can drive. With a 2-strike count, you’re looking to shorten up, make any contact, and thinking up the middle or opposite field. With a 3-0 count and a runner on second with two outs, you’re going to be aggressive on your pitch. Or would you? That’s the whole point of this discussion. We want kids to be thinking about how their approach changes based on the situation and to thoroughly understand why. As a result, they have a strategy when coming to the plate without coaches having to remind them. 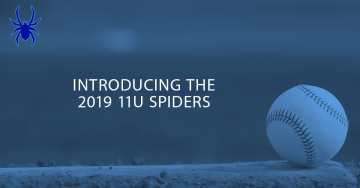 If you ever come watch the Spiders play and you pay close attention, you may notice one very minor difference between the way our pitchers and catchers interact compared to most teams: Our catchers call the game. For most teams, the coaches are sending in signs for every pitch. I’ve seen this all the way down to the 9u level. We don’t do it, and for a couple of primary reasons. First, I don’t want to create robots. A catcher taking signs for every pitch isn’t thinking about what to call and why. A catcher who calls a game is constantly thinking about what to call and why. It makes him a more valuable and knowledgeable catcher down the road. Second, coaches give very simplistic signs that are easily stolen. The signs have to be quickly and easily understood by the catcher. As a result, any parent, coach, or player paying attention can often decode those signs after only a handful of rounds. The result: Your pitchers may suddenly get rocked when hitters “strangely” adjust well and seem to know what’s coming. The catcher will make mistakes. But he may also do things the coach wouldn’t that actually work. The end result is that the catcher will consistently improve in this area. Calling a game becomes an area to teach and learn. It’s something we focus on during these Chalk Talk classroom sessions. How do we approach the first batter versus the third or last batter in the lineup? How might that change based on strength of the opponent? How does our approach to calling pitches change depend on the score? The inning? The count? When is a good time for an offspeed pitch? How does having a runner at third in a close game impact your pitch calling? How might baserunners in general impact your calls? The beauty of pitching is that there are plenty of gray areas where there isn’t necessarily a right and wrong answer. Sometimes, being unorthodox and unpredictable is effective. But it’s important to talk through situations so that pitchers and catchers have a plan of attack. 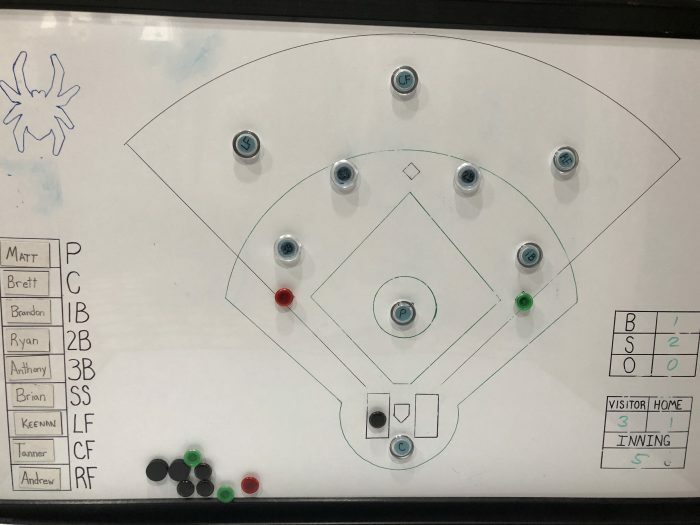 We use this whiteboard to talk through baserunning situations as well — both offensively and defensively. When is a good time to take a risk on the bases? When is a bad time? How does your approach at third base on wild pitches change depending on the number of outs? How does it change depending on the batter? 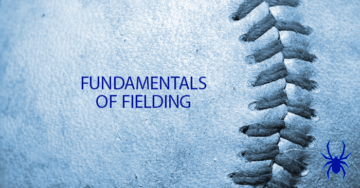 We also talk through how to defend baserunning situations. One, in particular, is the first and third situation. What is the opponent trying to do? How does the speed of each runner impact our approach? Why does the score matter? How would the number of outs impact our strategy? The conversation is often centralized around what the opposition is trying to do and why. Understand that first. Now, do we want them to be able to do that? If not, how do we stop them? You can hammer away at your team goals and philosophies while on the practice field or before and after games all you want, but it’s helpful to set a firm foundation in a classroom setting. This allows your players to contribute to the conversation. What are ways that you can show hustle? Why does hustle matter? How does it impact the game? What are examples of things that separate great teams from everyone else? What are ways that you can positively and negatively impact your teammates based on your attitude? 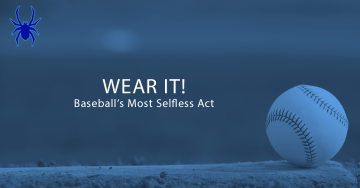 How can you show respect for umpires, teammates, yourself, opposing players, and coaches? What kind of team do we want to be? What are our goals? How do we define success? This is just a starting point, but these classroom sessions can be very productive as we put these types of things in writing. Do you implement classroom sessions for your team? What are other ways that you use them? Do You Really Need That Many Coaches? In my time as a coach, I’ve noticed a strange trend among travel teams: An overflow of coaches. But how many coaches do you need? Looking into some dugouts, it looks like a “Bring a Parent to Work Day” for kids. The coaches don’t even fit in the dugout. Four or five spill out onto buckets outside. First, let’s clarify the difference between coaching in practices and games. You could technically have many more “coaches” (adults who players refer to as “coach”) during practices than during games. I need parents to help by pitching, soft tossing, and more. Additionally, we get instruction from paid coaches within our practice facility. But many of these people aren’t official coaches. They are dads or practice instructors who won’t be in our dugout on the day of a game. 1. Head Coach/3rd Base Coach: As the head coach, I generally want to be the guy giving signs. It’s not a power thing. It’s just that if I’m making final decisions on strategies, I should probably be the guy giving the signs. 2. Assistant Coach/1st Base Coach: The Spiders have an assistant coach who coaches first base. This is standard. You can’t get around it. 3. Assitant Coach/Bench Scorer: While we do have a parent scoring Gamechanger for other parents to follow along, I don’t consider these stats “official.” I have an assistant coach who scores more detailed actions using iScore from within the dugout. A big reason for this is so that we can also take that information and apply it for positioning defenders and other strategies. The three of us manage everything on the field — from pre-game warm-ups to in-game strategy and one-on-one instruction. 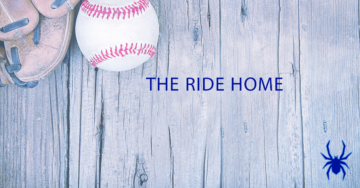 We have the bare necessities this season, but we could technically have one more — particularly if I were to take a break from giving signs at third base and I wanted to be in the dugout to talk to the kids during our at-bats. Or, we could have one coach who is focused specifically on the pitcher/catcher relationship and strategies. But I truly see four coaches as the limit. Even then, it could be too many with the wrong personalities. Anything beyond that just isn’t necessary. One nice thing about our current set-up is that we three coaches have three very different personalities. We aren’t all incredibly vocal. I’d consider myself on the average-to-below-average side of the noise scale. And one is even quieter than I am. But I think that’s good, particularly for games. It’s good to have one coach who can provide energy. We have to call out plays and make corrections where necessary. But for the most part, we just let these kids play during the game. The problem with having too many coaches is that you’re bound to have at least a couple of loud ones. In fact, I’ve witnessed straight chaos from these benches that overflow with coaches. If the umpire makes a questionable call, they’re all shouting. Something goes wrong on the field, and they’re all freaking out. It’s a mess. The umpire thing, in particular, can get you into unnecessary trouble. You can get away with questioning a call as a single coach. But if five ego-driven coaches are all shouting about it? Someone may get ejected. And rightfully so. When multiple coaches are yelling at the same time, it all just becomes noise. It’s confusing for the kids. It creates tension and anxiety. And it just isn’t helpful. If you have six official coaches for a youth team with 11 players, that means more than half of the dads are coaches. I can tell you what the perception and expectation will be, and it’s something you’ll need to combat from the start. Oh, you know where I’m going with this. It’s Daddy Ball on steroids. Those dads who aren’t coaches will fall into the minority. They will watch very closely to see the time and responsibilities granted to the coaches’ kids compared to their own. You know they will. All you need to do is read the comments under just about any of my posts and someone will start griping about the coach’s kid. Now multiply that by six. The politics of youth sports is difficult to avoid. But you’re making it even more difficult when it appears as though you need to be a coach to get certain advantages. This will become an even bigger deal with a bloated coaching staff. When I see a team with an endless line of uniformed coaches, I can’t help but wonder: “What do they actually do?” Do they have a purpose? Do the kids know what that purpose is? Or are they just there to look important? Because that’s the flip side of having too many coaches. If they aren’t loud, creating noise and canceling each other out, is there anything that they are actually doing besides sitting on a bucket and spitting seeds? Just make sure that however many coaches you have, they all have a clear purpose. It should be communicated and useful to the kids. And having each coach should add value, rather than simply taking space and adding noise. I get why these coaches want to be in the dugout. There’s the innocent reason of wanting to be closer to their own child. Maybe they like being in the middle of competition. But one thing MUST be true: They are there to coach all kids on the team. Far too often, you’ll see it. A coach is there, essentially, to be no more than a babysitter for his own kid. Coaching him. Correcting him. Berating him. Parenting him. Ignoring the other players. And, let’s be honest: He’s also there to make sure that he has a say in how his kid is used. He doesn’t want to be one of those poor saps sitting in the stands while his kid sits the bench. These can’t be your only reasons for helping out as a coach. You must provide value to all kids. You can’t treat your son as “your son” during the game. Otherwise, get out of the freaking dugout. In the end, this is more than just being about the number of coaches you need, but whether some parents should be assistants at all. Be careful about which parents you add to your staff. Make sure that they have the wellbeing of all kids in mind. And be sure that they actually have a purpose. Because the truth is that maybe this person doesn’t need to be a gameday coach in the dugout. I’m sure you still need plenty of help in practices!